In 2017, a small group of governmental and nonprofit marine debris stakeholders — the North Carolina Coastal Federation, North Carolina Sea Grant, Onslow County Solid Waste, North Carolina Marine Debris Symposium and the North Carolina Coastal Reserve & National Estuarine Research Reserve (NCNERR) — began to characterize and assess the extent of marine debris on the coast of North Carolina, current management efforts directed at preventing and cleaning up debris and the extent of stakeholder involvement in rectifying the problem. This effort began with a survey that was sent out in the summer of 2017 to those involved in marine debris work on the coast. This survey was sent out by the stakeholders in order to reveal challenges, gaps and opportunities in marine debris management within the state. A total of 111 people responded to the survey. According to results, there are five types of marine debris that are of top concern in North Carolina: consumer debris, lost fishing gear, abandoned and derelict vessels, storm debris and unmaintained structures (such as docks and bulkheads.) Almost 75 percent of respondents are focused on managing consumer debris, or man-made items found on beaches and near-shore environments that do not belong there. The survey information was used to help form an assessment that was completed in May 2018. The assessment is being used to guide the development of a marine debris strategy. The strategy will go through edits in late summer and early fall 2018 after receiving feedback from the stakeholder group. It will receive additional edits after the North Carolina Marine Debris Symposium in fall 2018. The plan is set to be finalized in winter 2018. Check back for periodic updates on plan development. Rett Newton, mayor of Beaufort, offers his support for the marine debris reduction strategy for North Carolina. The development team hosted the Debris-Free NC workshop on Feb. 8. 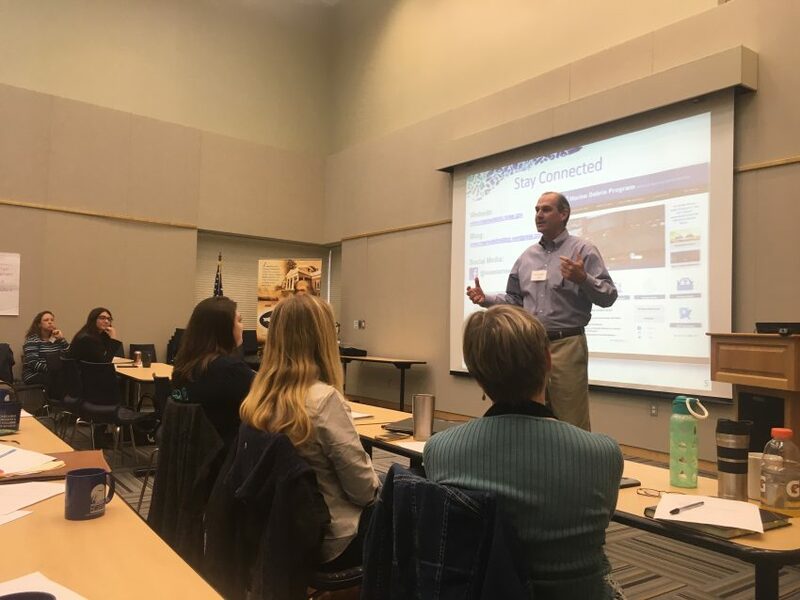 The workshop drew a crowd of 41 people from the host organizations as well as universities, municipalities, businesses, environmental organizations and state agencies. The goal of the workshop was for participants to provide feedback on the current marine debris assessment work and use a collaborative process to develop strategies and actions that may be incorporated into a marine debris reduction plan. Staff from the North Carolina Coastal Federation presented on the development of a statewide marine debris strategy at the 2017 North Carolina Marine Debris Symposium on Oct. 16 and 17. The federation was joined by Gloria Putnam, coastal resources and communities specialist for North Carolina Sea Grant, and Paula Gillikin, site manager for NCNERR, for a stakeholder work session on the development of this plan. 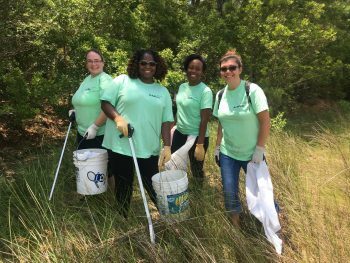 Those who attended the work session included nonprofits, county big sweep coordinators and even waste reduction employees from inland counties. During this session, the federation and partners went over a draft of a prepared assessment on the current marine debris reduction activities in the state, what the most prominent threats are and what the draft goals of the plan are. They also presented on the results of the marine debris survey. Debris Free NC: This Facebook page is “the single resource for information about the impacts of marine debris and efforts to minimize debris in NC.” The group posts upcoming events related to marine debris, so check back often!